Askew’s is proud to host and participate in local festivals. Every July we host Family Day at Uptown and each year we try to add something new and exciting to the Festivities. Come enjoy an evening with us! The Armstrong Open House has become an annual event since 2017 and is a celebration of our local suppliers. Proud sponsor and host of the Roots and Blues Supercrawl. In 2018 Askew’s Downtown turned 50 and we decided that a street party was the best way to celebrate! We had so much fun that we are thinking about making the Askew’s Downtown Street Party an annual event. Stay tuned for more details! 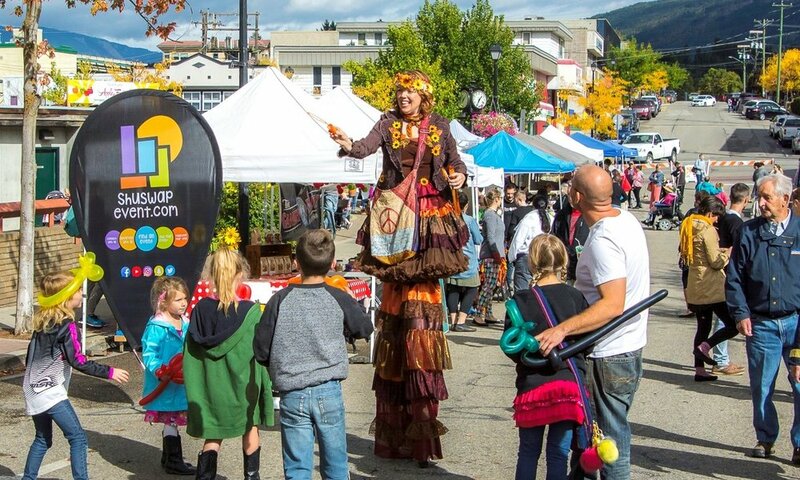 The Salmon Arm Apple Fest celebrates Salmon Arm’s apple growing heritage. A family event for all ages this event is brought to you by Askew’s and Downtown Salmon Arm. Come join us at this magical time of year for what has become an Askew's tradition!